Our client came to Resi with the idea in mind of designing a home that was more family friendly than the house they currently had. 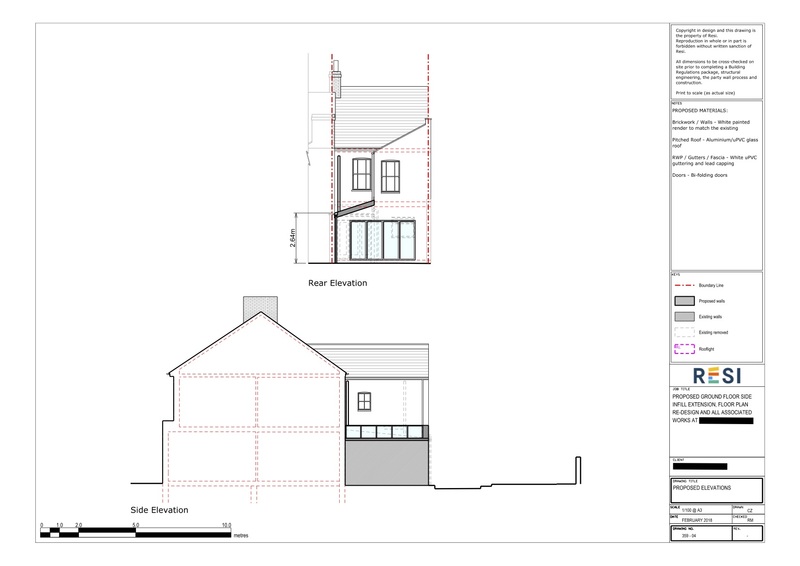 This included a redesign of the floor plan, many internal alterations, and the removal of a poor quality utility and replacement with a side infill extension. This resulted in a property with a great open plan family room with a new and improved side structure. The vital requirements from the client were an open plan kitchen, living, and family area, the inclusion of a utility room, and a kitchen island. They weren’t entirely sure on their internal style, but thought about a clean and neutral style - contemporary, but not overly modern looking. 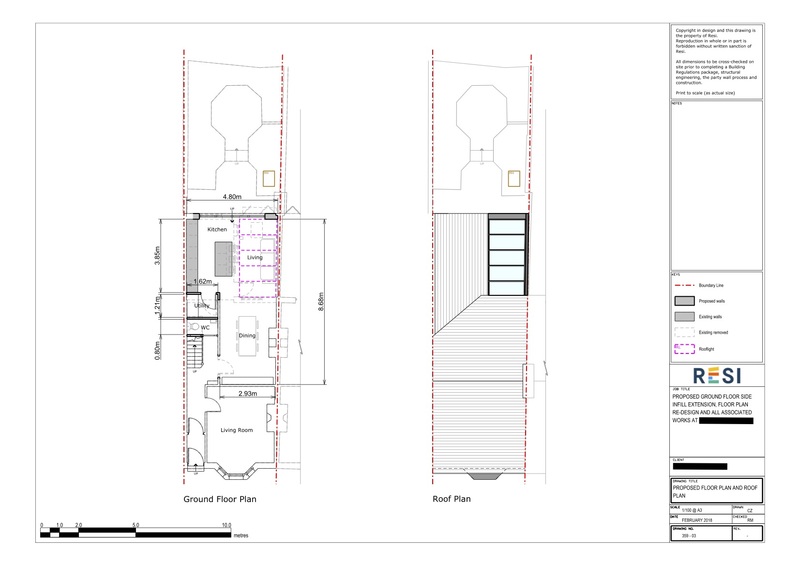 We believed we could incorporate all of these details to design the extension they had in mind. We decided to knock down the internal walls and utility room (with the low quality plastic framed roof) in order to create a combined kitchen, living and family area. This space was perfect as it could fit a central island, an area for a couple comfy sofas, and a large dining table - everything a family needs, all in one room. Furthermore, this room was given a contemporary touch through the addition of bifold doors at the rear and skylights overhead, with the added benefit of filling the room with natural light. The utility room was a must, so we managed to conserve space by placing this room where the hallway and under-stairs cupboard previously stood.